Suspect sought in Circle K armed robbery | Crime Stoppers of the Lowcountry: 554-1111 | 1-888-CRIME-SC | Anonymous tips earn cash rewards with Crime Stoppers of the Lowcountry. NORTH CHARLESTON, SC (WCSC) - Police are on the lookout for a man who robbed a Circle K in North Charleston Thursday night. The North Charleston Police Department responded to the store on West Montague at Dorchester Road around 10 p.m. in reference to a robbery. According to the police, the suspect went to the clerk where he presented a knife and demanded money. The suspect then took money and fled the store. 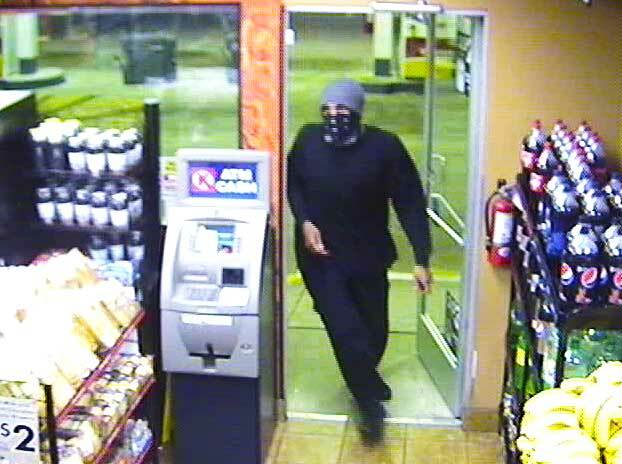 Authorities describe the suspect as a tall slender light skin black male wearing all black with a gray hat with a black and white bandana covering part of his face. Police ask anyone with information to call North Charleston Police at 554-5700 or Crime Stoppers at 554-1111.